Hosting the Olympic Games is one of the biggest honors a city (and country) can have. The World Cup is just as prestigious, especially in soccer-obsessed countries. But hosting the Olympics or World Cup is a herculean task. The Olympics are expensive and disruptive, and many cities are turning them down. As they do, it’s increasingly falling to authoritarian regimes to host the games. There’s a reason why the Olympics are associated with large world-class cities. There are thousands of athletes, guests, media and dignitaries present at any one time. All of them need flashy facilities and high-tech infrastructure. The World Cup is equally demanding, playing in multiple stadiums in multiple cities. In theory, all the new construction required for these games can be used to spur local development once the guests go home. But in reality, the Olympics and World Cup often leave their host cities saddled with debt and full of mothballed athletic facilities that go to waste in just a few years. For that reason, more and more places are saying no, most recently Boston, which pulled its bid to host the 2024 Summer Olympics. We’re in no danger of the Olympics being “homeless”. But we are resorting more and more to authoritarian nations with awful human rights records. In more democratic countries, citizens can organize resistance to the games, like they did in Boston. Or Stockholm and Oslo. Both of these cities said “no” to the 2022 Winter Olympics. This left only China and Kazakhstan in the running. So now the Olympics will return to smoggy Beijing. Despite the lack of mountains or even breathable air, Beijing has one thing going for it. It was a government that can build massive projects and shut all industry down for the games. Then there’s the 2022 World Cup in Qatar, which has been plagued by corruption and human rights abuses. Add in Russia’s hosting of the 2014 Winter Olympics and the 2018 World Cup, and you can start to see a pattern. 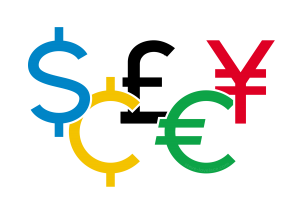 There’s no easy solution to the ever-increasing costs of international sports competition. In many ways, this is a matter of the global free market, and a reflection of both the ups and downs of capitalism and globalization. Many people have proposed solutions, such as choosing a permanent home for the games. This could be Greece, where the games started millennia ago, or it could be an independent Olympic nation, akin to Vatican City for sports. But as long as dictators and oligarchies are ready to step in with shiny new stadiums, this problem won’t get any better. I think we’ll see the Olympics move around for the rest of our lifetimes. What do you think the future of the Olympics will hold? Will it continue to fall to authoritarian regimes, or will there be another solution? Let me know what you think in the comment section.